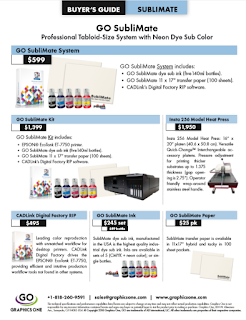 The GO F-24XL UV, a new small format UV flatbed inkjet printer with a standard table size of 24-inches by 47-inches and scalable up to 79-inches, was officially released today by Graphics One. With virtually the same performance characteristics as the orginal F-24, the XL version has a larger table size. 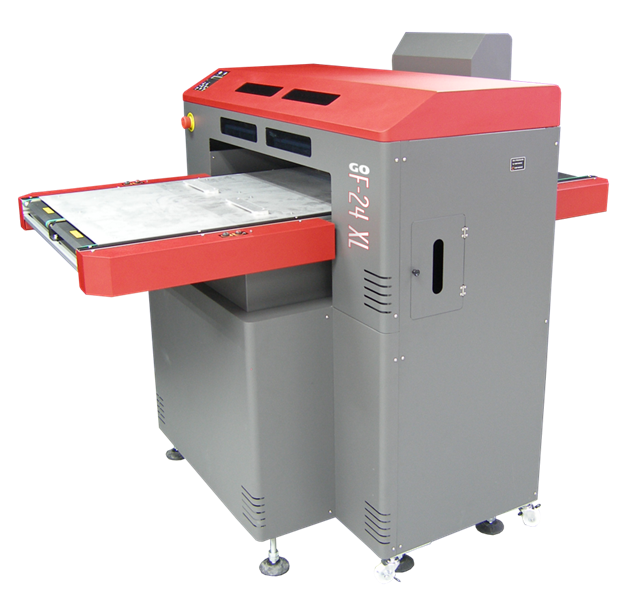 Additionally, the unit features a new conveyor system for moving the images and also a new liquid cooled dual UV lamp system. The base version of the GO F-24XL UV is $43,995. If a user wants to have the unit with 79-inches of imaging space, the list price is $48,995.